FAQ - East Coast Vape Co. 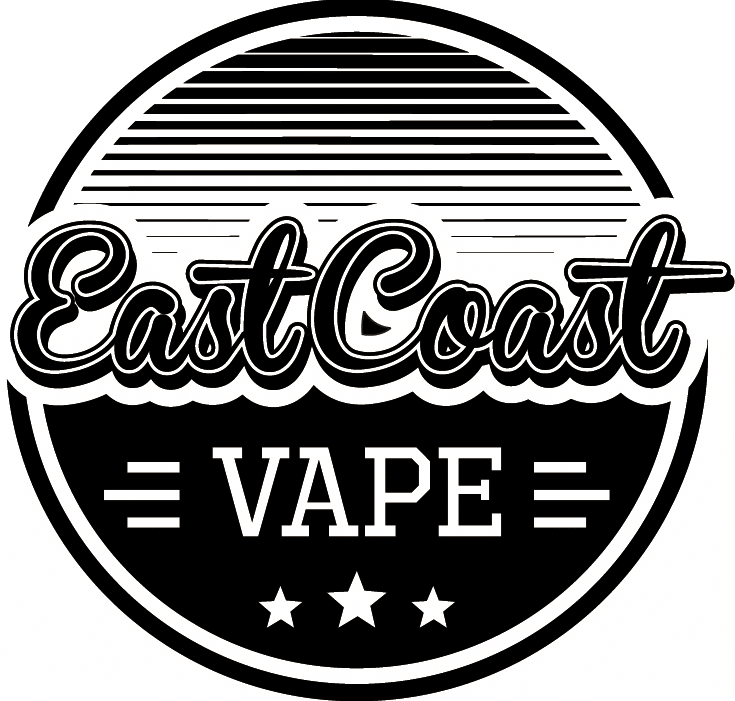 If your questions aren’t answered here, please contact us at East Coast Vape Co. We’re happy to help ! Vaping is the inhalation and exhalation of vapour when using an electronic cigarette / vaporiser. It is the evolution of smoking, replacing many negative associations with the old habit of tobacco combustion. The technical term for vapour is called liquid aerosol, it can be compared to how a kettle heats up liquid like water and produces a steam vapour. Vaping works when the e-liquid is heated creating a vapour that is then inhaled and exhaled. Vaping is seen as a healthier alternative to smoking in many parts of the world including the UK and USA. We recommend doing research on the benefits and making your own personal opinion on the subject. Clearomizer or tank (the thing that holds the e-liquid). Usually a plastic or glass vial with a wick inside and a coil of resistance wire that heats up. The battery sends a current through the coil of resistance wire (inside the clearomizer) which has been wrapped around a wick or cotton which is gently heated to evaporate and turn the saturated e-liquid to vapour. Who is vaping designed for ? Anybody aged over 18 years old who wishes to have an alternative to smoking traditional tobacco products. How old do you have to be to buy a vape product ? We only sell to over 18s. Will vaping help me quit smoking ? Vaping has made us and countless others stop smoking. There is no guarantee it will work for you. You can of course use tobacco alongside e-cigarettes, there are no rules. But we tend to find that if you are still craving tobacco, then the e-liquid you are using has too low a nicotine percentage for you, or the device is inferior or the liquid is inferior. Regarding nicotine, it is illegal to sell and in some States, even to possess. In order to obtain liquid containing nicotine, you will need to buy from an overseas vendor regardless. We suggest steering clear of Chinese manufacturers and buying from reputable vendors in the USA, New Zealand and UK. We should point out that a U.K. governing body, PHE (Public Health England) released a report in 2015 that stated vaping is 95% less harmful than smoking. A link to the official government website report can be found at the bottom of this page. Do e-cigarettes produce a smell ? Some do, some don’t – some have a pleasant smell that resembles the taste of the e-liquid. Some have no smell at all. What am I actually inhaling ? Vapour made from evaporated Propylene Glycol, Vegetable Glycerine, flavourings and (if applicable from oversea’s) nicotine. Is there a danger to passive smoking ? Passive smoking kills – but passive vaping has so far has shown to have so few toxins in the vapour that they are mostly undetectable. We suggest letting common sense prevail and not vape around children or people who do not vape. Treat people around you with respect and vape how you used to smoke. You can read a full government report on the safety of e-cigarettes by PHE (Public Health England) here – it concluded that vaping is 95% less harmful than smoking.